Various studies have shown that breakfast is the most important meal of the day. It provides us energy and improves our concentration for our day’s activities. 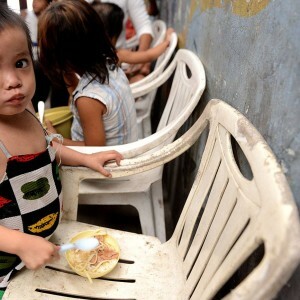 However, for children living in extreme poverty, breakfast can be their one and only meal. A meal that can define if they will survive or not. 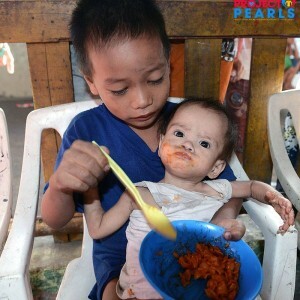 This is a heartbreaking reality that Project PEARLS aims to change. 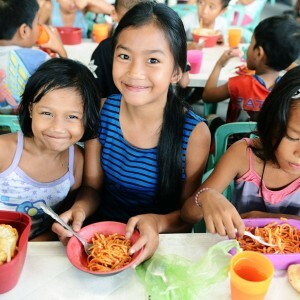 Through our Feeding Programs, we want to provide a delicious and nutritious meal to children to help decrease the incidence of malnourishment. Daily Soup Kitchen (Monday-Friday) . 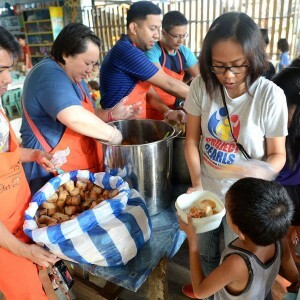 This is done everyday in Helping Land, a slum community in Tondo, Manila. Helping Land sits on an active dumpsite and is home to hundreds of families whose main source of livelihood is scavenging from garbage. 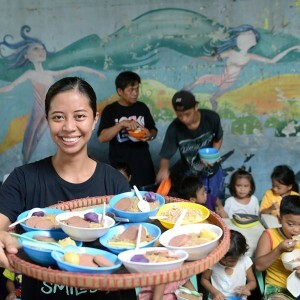 Most of them fill their hunger by relying on “pagpag” – leftover food from restaurants scavenged from trash. In Filipino, “pagpag” literally means “to shake-off”, and this refers to shaking the dirt, maggots, and flies off the edible portion of the leftovers. 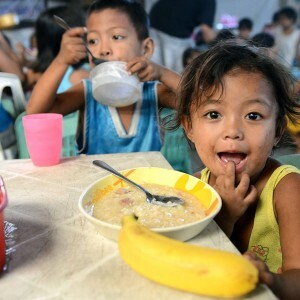 Not only the children do not get the nutritional requirements they need, but they are also very prone to food-borne diseases which, often, can be fatal. Saturday Feeding Program. This is done every Saturday in Helping Land, and once a month in Brgy. Batia, Bocaue, Bulacan. The community in Brgy. Batia is the relocation site for the families formerly living in Ulingan, Tondo – the first community adopted by Project PEARLS. Aside from feeding at least 300 children, we also conduct some brain booster activities to instil creativity and passion for learning. 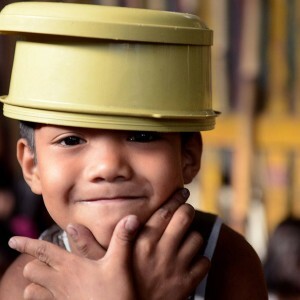 Our budget is $300.00 or Php 15,000.00 (Php 50 per kid) for the food and learning materials. Sunday After School Program. 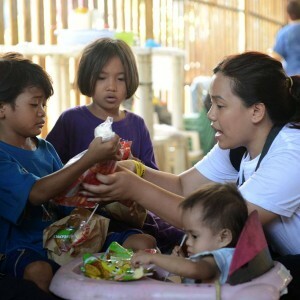 This program runs every Sunday in Helping Land with our ASP Coordinator Jedda Punzalan leading the session along with volunteer-teachers and they usually hold the program from 8am-11am. 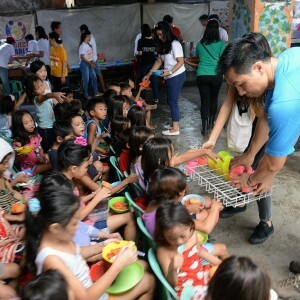 Besides the academic activities and tutorials that ASP is mainly offering, a feeding program is also in effect before ASP. 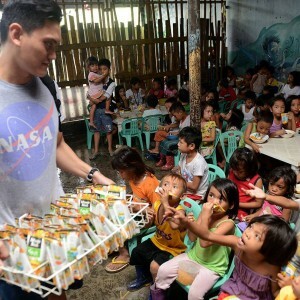 Our budget is Php 15,000.00 (Php 50 per kid) for the food and learning materials. 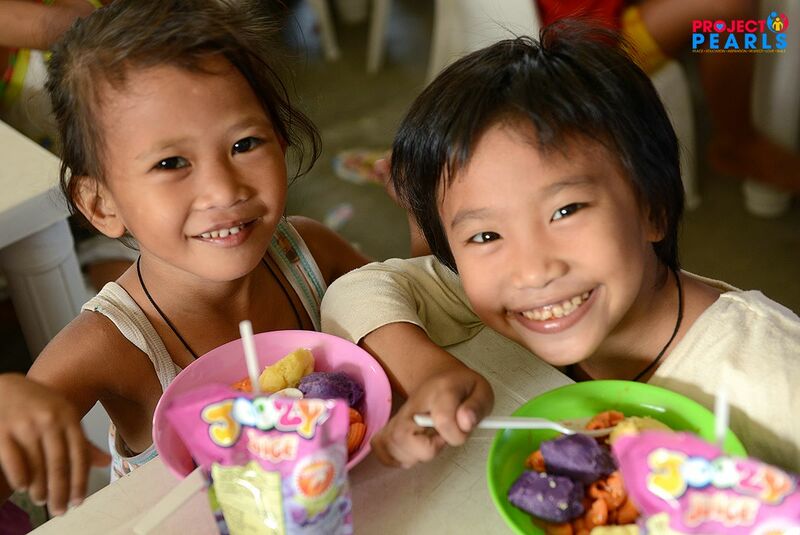 We are inviting everyone to celebrate their special event, or just share their blessings by sponsoring our feeding programs. 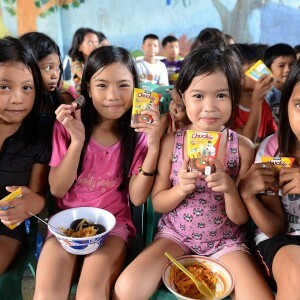 Any kind of support, cash or in-kind donations (such as rice, canned goods, noodles, milk, children’s vitamins, sugar, fresh eggs, vegetables, fruit), will go a along way in changing the lives of the children. 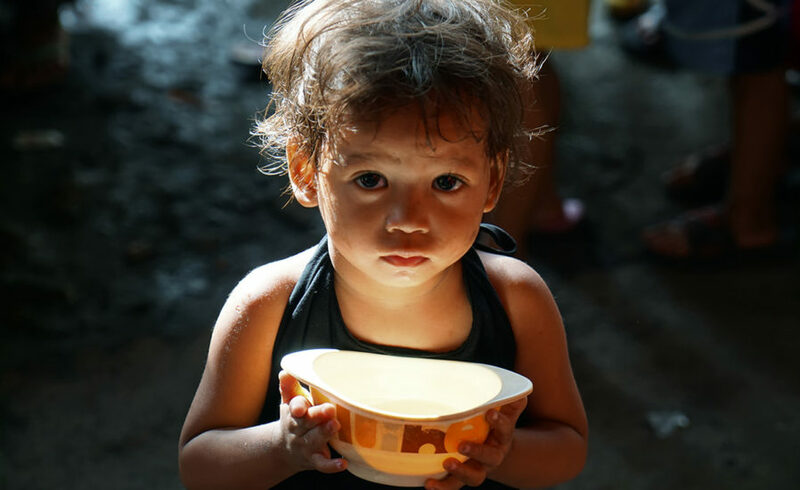 To sponsor a feeding or donate food donations, send us an e-mail! 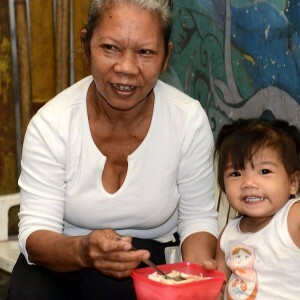 The photos below show why we have a Feeding Program in one of the poorest (and dirtiest) communities in Tondo, Manila. 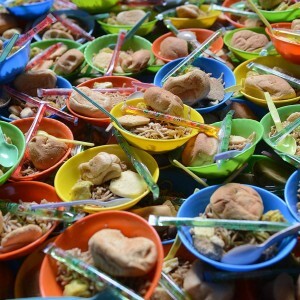 The common meal there is “pagpag”, which is recycled food from the garbage. 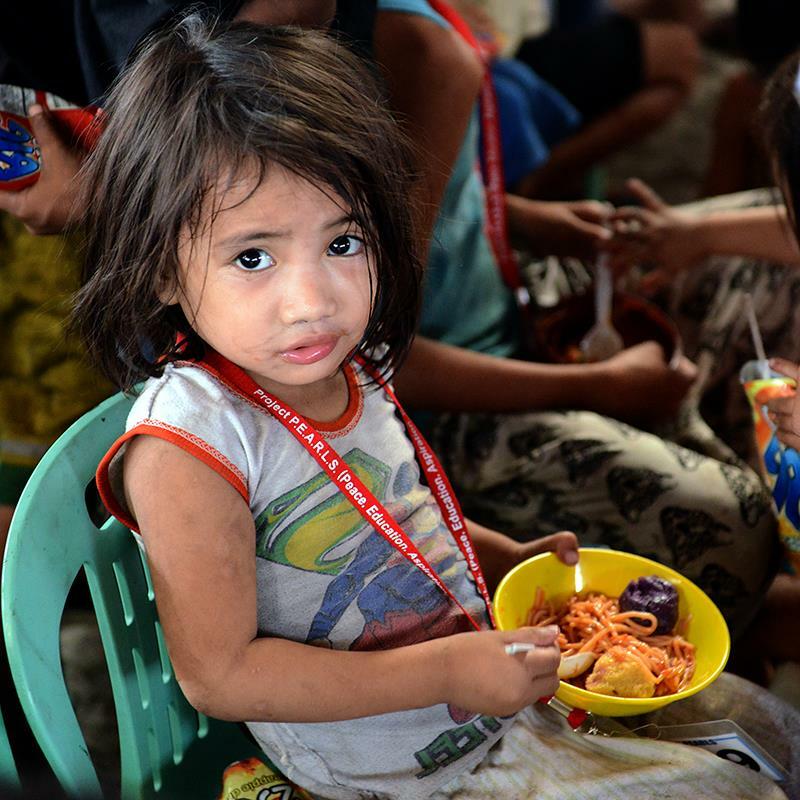 Please support our Feeding Program and together, let’s stop child hunger and mortality. 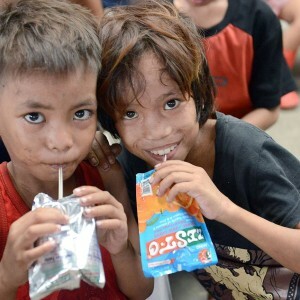 Read “The Tragic Story of Marco” and find out why we launched the Daily Soup Kitchen Program.